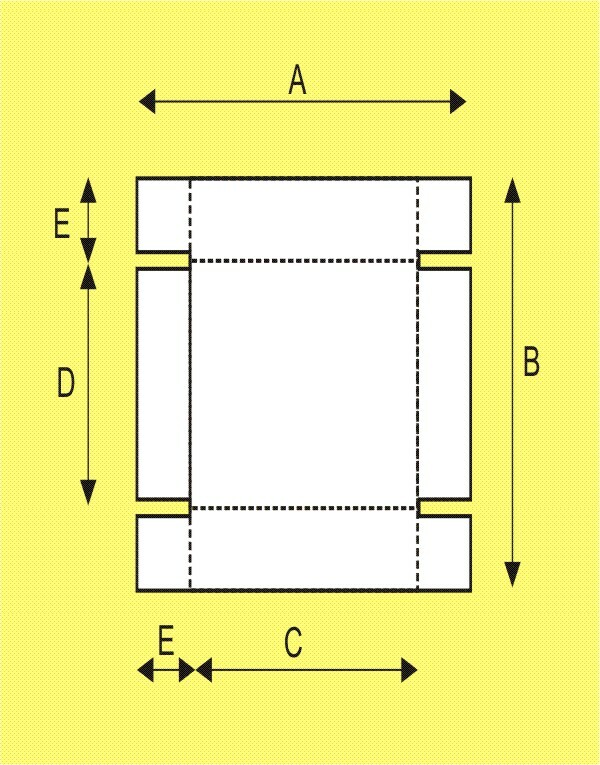 Creasing, perforating, cutting, kisscutting even in 147cm width. We have developed a creasing perforating and kisscutting machine with you can crease, perforate or kisscut even 147cm wide sheets. The robust machine is driven by an industrial gearmotor so you can crease perforate or cut even thick and hard materiale with this machine. If you don't use the machine, then you can fold down the feeding table to reduce the space needed for the machine. We built in the machine the circular knives of the Paperfox kisscutting, creasing and paerfoating machines, but we mage some modifications on the knife holders for beeing able to crease, perforate and cut thicker materials. The machine was designed first of all for manufacturing corrugated paper boxes but you can use it for other purposes. 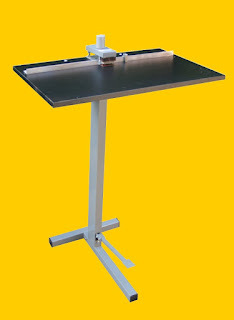 We have equipped our simple box making device with a scale and with a srew with you can fix the device to any table. In this way you can make boxes even quicker and more comfortable with this useful device. You don't need an expensive machine to create your own corrugated paper boxes. Just mount a guide on a chipboard plate and you can cut the corrugated paper with a sharp knife, you can crease it with a not so sharp knife. You can perforate alongside the guide with a simple perforating tool. 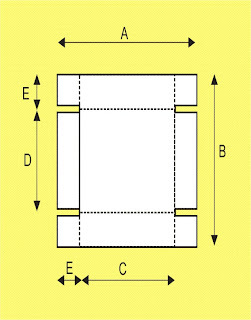 In this way there is no problem with the wave direction of the corrugated paper, you can perforate it easily. We made this perforating tool from a perforating knife which we use in our kisscutting-creasing-perforating machines. Some customer of us has asked, that how could they punch with the Paperfox paper punches so that the hole should be positioned to the printed elements on the sheet. The printed elements maybe not always in the same place on the sheets, so the positioning the edge of the sheets to the paper guides not a proper solution. Use an adhesive band and stick the foil at a side on the plastic plate. The plastic foil can be folded up, but if you fold it back it will always get back in the same position. Place the plastic plate under the MP-1 press equipped with a MPA-1 table and position it to the paper guides as in the picture. Punch the foil with the Paperfox MP-1 paper punch. Insert the sheet which you want to punch under the transparent foil and position the printed elements on the sheet under the punching in the transparent foil. Place the plastic plate with the transparent foil and the paper which you want to punch under the MP-1 paper punch. Position the plastic plate to the paper guides. Punch the paper! In this way you can punch the sheet in the required place. We equipped our A-1000 rewinder with a "chicken ladder" like device. Well, actually we don't want chickens to climb on our machines, but we wanted to secure the accurate position during rewinding with this device. And this is not everything! We equipped with our new "chicken ladder" with a "cutting unit. If you want to use several cutting unit on our A-1000 rewinder you need a stronger motor and transmission to produce the increased rewinding force.